McDonald's is playing hard to get with its latest seasonal offering. Wintertime brings plenty of festive treats to restaurants and eateries all across the country. So, of course, McDonald's is no different. The fast food chain's latest seasonal treat has people shouting from the rooftops and ringing sleigh bells all over Twitter. It's called a Holiday Pie and it's as festive looking as it sounds. But there's a catch: McDonald's hasn't officially released the pie yet — at least not at all of its locations. For those who have not been lucky enough to indulge in this creamy confection, we'll fill you in. The filling, according to Mickey D's, is a "creamy smooth, vanilla custard." 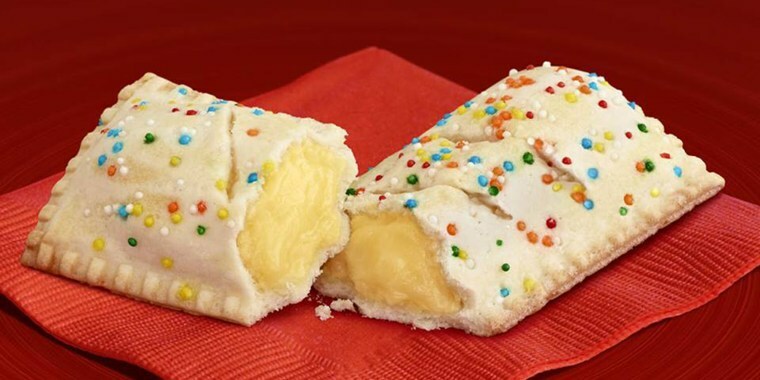 The crust is "flaky" and "buttery" and, just like a Christmas cookie, is topped with sugar, as well as rainbow sprinkles. The holiday pies are shaped just like McDonald's apple pies (which have been on the chain's menu for more than 50 years) as well as its rather divisive pumpkin pies. Each custardy dessert has 260 calories, 12 grams of fat and 13 grams of sugar. Despite their popularity, these pies are only available at participating locations at the discretion of franchise owners. The pies were first introduced around 2012. However, when TODAY Food asked McDonald's just where pie lovers could find this seasonal treat, the chain remained mysterious and would not provide a list of cities (or participating locations) where the holiday pies are or would be available. So, basically, the elusive pies exist somewhere between Neverland and the North Pole, but you can always call and ask your local McDonald's to see if they're baking up some sweet holiday magic this year. On Twitter, once Santa — er, the pie — was officially spotted, many people rejoiced. with people ordering pies by the dozen. @McDonalds Holiday pies are back!!! 🤤🤤🤤 *Drives up***can I take your order??? Umm yes.... can I have a dozen of those holiday pies?! If your McDonald's doesn't have the pie available, the chain recommends that customers call in to request them, as each franchise owner makes the final decision about whether to carry the pies.